Okay now that I have your curiosity peeked let me begin by saying for this project you only need Rustoleum metallic paint (gold) and dry Oak (or other) leaves (and dried sticks too). This is the simplest craft ever and the results are dramatic! The key is 2-3 light coats on the leaves as they are spread out. You will have to spray both sides but I concentrated on making the top of the leaves shinier with a light 3rd coat to make it easier to distinguish top from bottom when doing my arrangement. 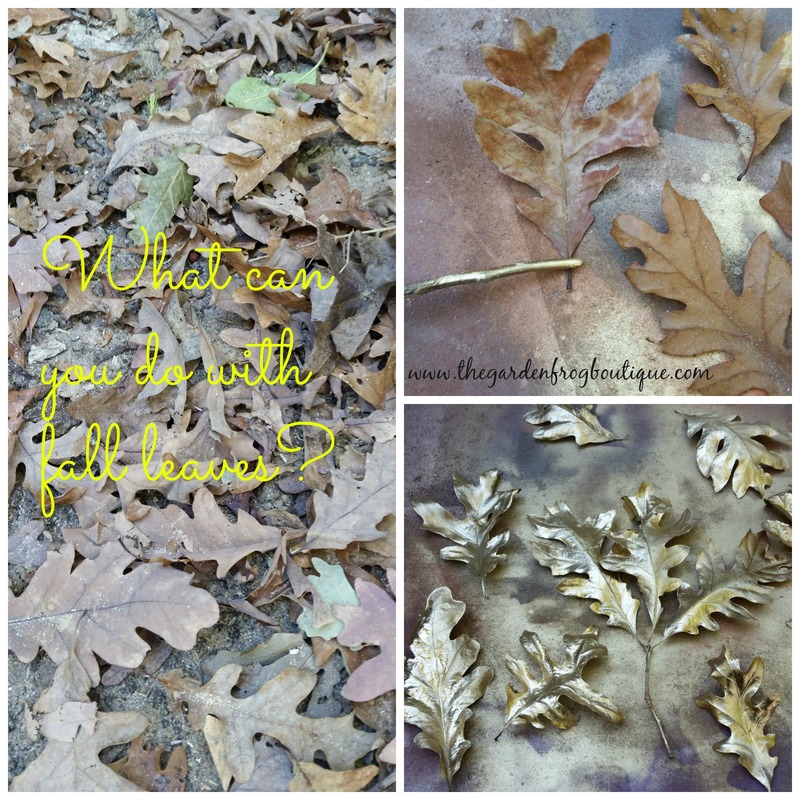 What is great about spray painting the leaves with Rustoleum metallic paint? 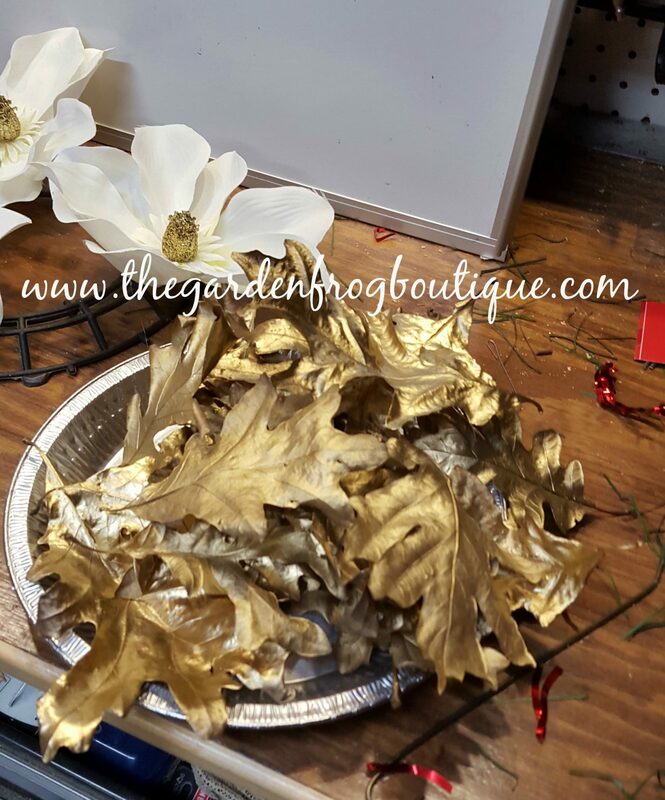 The leaves do not get brittle and they are very easy to work with either a hot glue gun or as ornaments on a tree. I am going to spray more and make a garland this week. I believe you could use just about any leaf but I would make sure they are dried out completely. I spray painted these about 2 month ago and let them sit to see how the spray paint would react with the dried Oak leaves; and if they would become brittle. 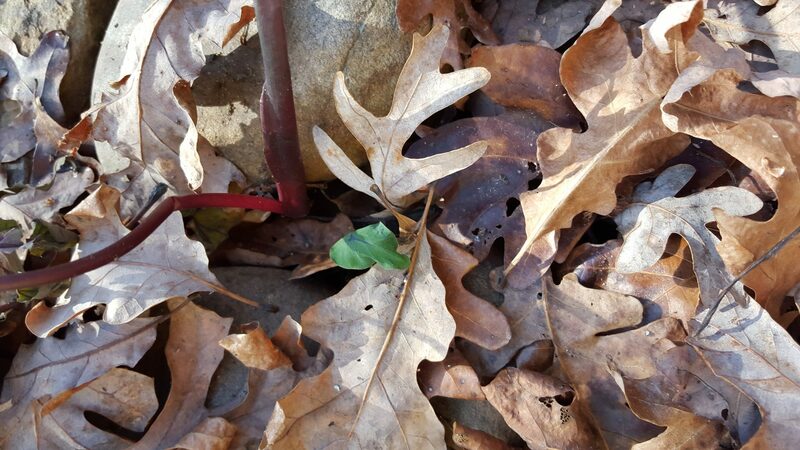 I am so happy that this experiment worked because the leaves really look glamorous. You can check out my holiday centerpiece for the dining room (and I hot glued them in place). So literally I created gold leaves without all the expense of the kits with just as dramatic results. I just love Rustoleum spray paint. Not pictures I sprayed some dried twigs from the yard too. Be sure to check out my other craft ideas too. Thank you for stopping by!